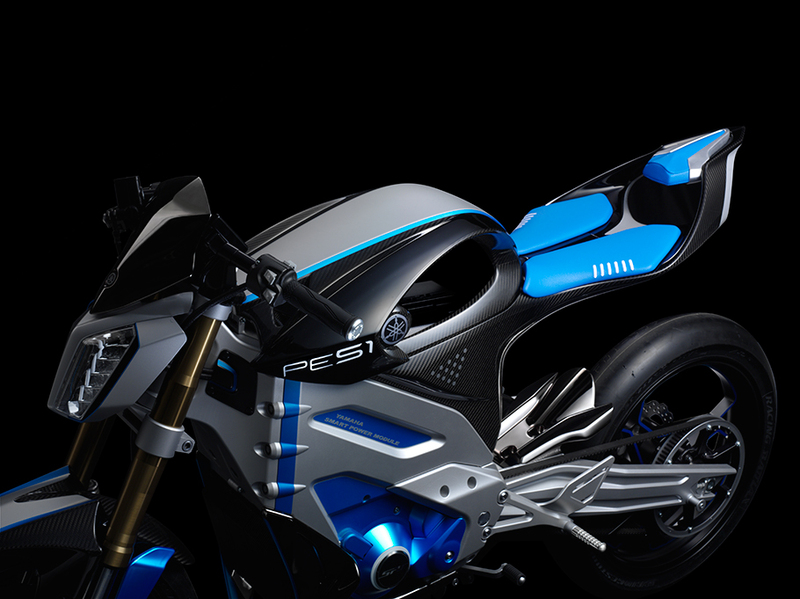 PES1 - Yamaha Motor Design | Yamaha Motor Co., Ltd.
How do you present the enjoyment of an Electric Vehicle (EV) in a motorcycle design? The focus of this query was the design of the PES1. One solution was the bold but minimal design of the EV power unit. Further, Yamaha visualized features that would "produce acceleration from the moment the tires hit the road", and a design tone that would convey a feeling of horizontal motion. The PES1 features a sophisticatedly ordered power unit with a different flavor than an engine. 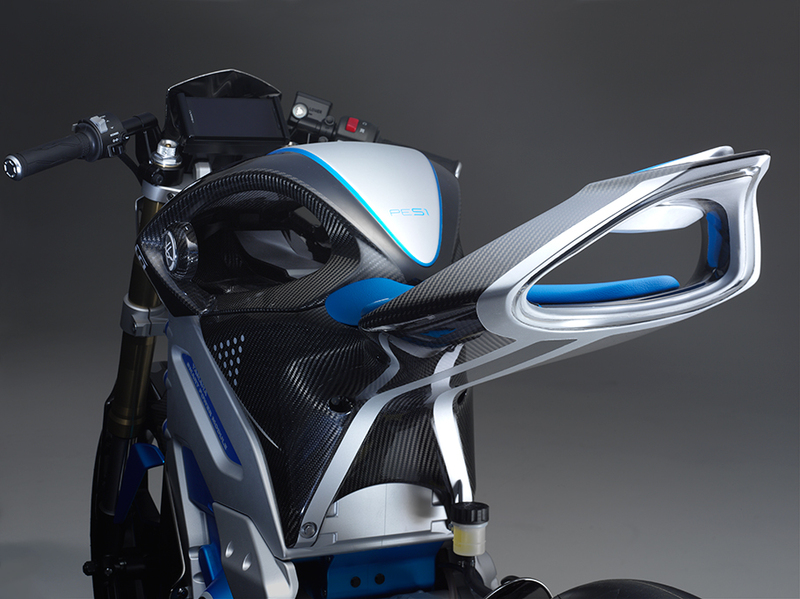 Astride the power unit is a fluidly shaped top frame and a seat that is seemingly suspended in midair. The juxtaposition of the rigid and inorganic drive section with the light and organic man-machine interface represents the originality found in an EV. The "top frame" sits in the location where the gas tank would normally be found. 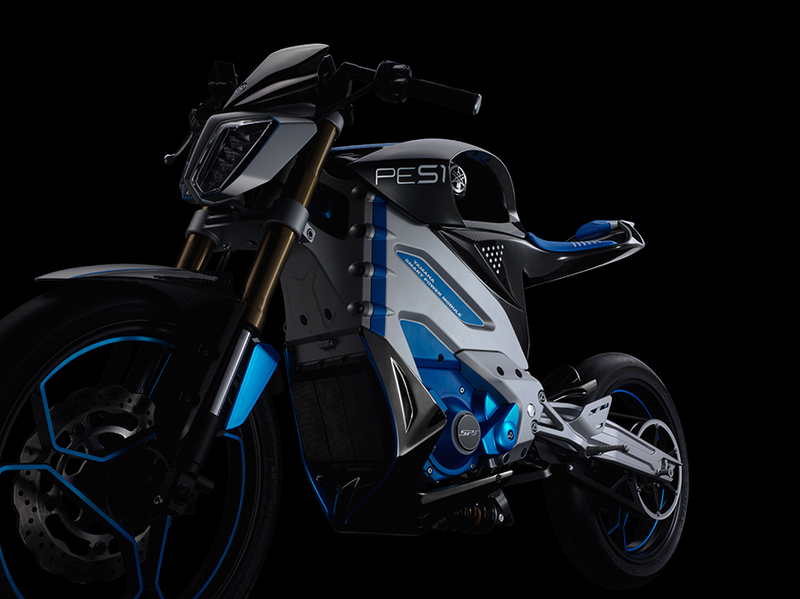 Additionally, the conscious placement of hollow spaces on the top frame grabs one's attention in an instant while simultaneously emphasizing the fact that the PES1 is not a gasoline – powered vehicle. Not only is the knee support the pinnacle feature of the PES1 design, but it also provides the crucial function of allowing the rider to use their knees to hold onto the motorcycle. Interface portions of the PES1 such as the top frame and seat reduce overall vehicle weight and evoke a nimble appearance by drastically shaving off any unnecessary parts while simultaneously welcoming the rider with open arms. 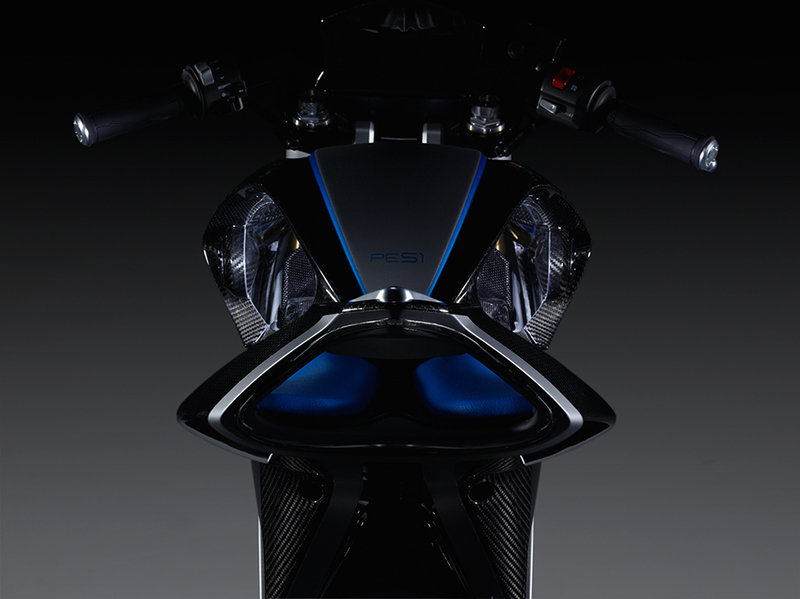 The PES1's carbon fiber design allows the rear frame to support the rider without requiring stays. A bored-out triangular tail leads to a glimpse of the split seat that overlooks the hollow spaces on the top frame.